Inviting, functional and accessible, modular design with bold, large diameter steel tube frames and expanded steel seating surfaces—these flat benches are ready for high volume use. 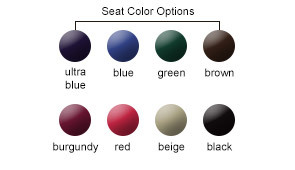 The flat (backless) seat is constructed with 12-gauge steel and sealed in an impact resistant, UV stabilized polyethylene finish. Smooth round edges enhance the comfort and safety. The steel tube frames keep their pristine look with a resilient powder-coated finish. The quality construction unified with a high level attention to the details, makes certain this bench will offer an enrichment to the landscape wherever installed. 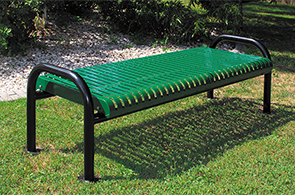 Enhance parks, gardens, schools and sidewalks outdoor facilities with a portable, in-ground or surface mounted contoured expanded metal flat bench.